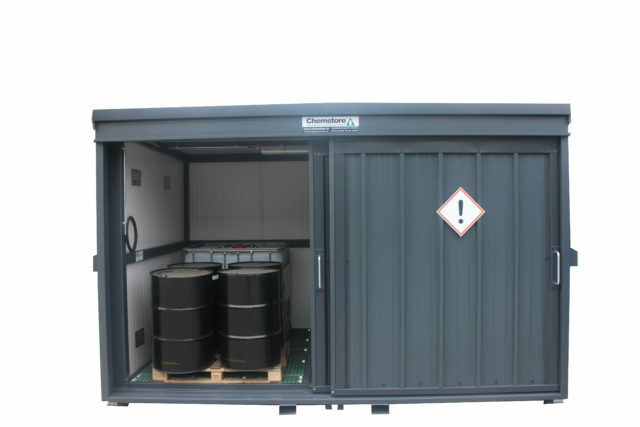 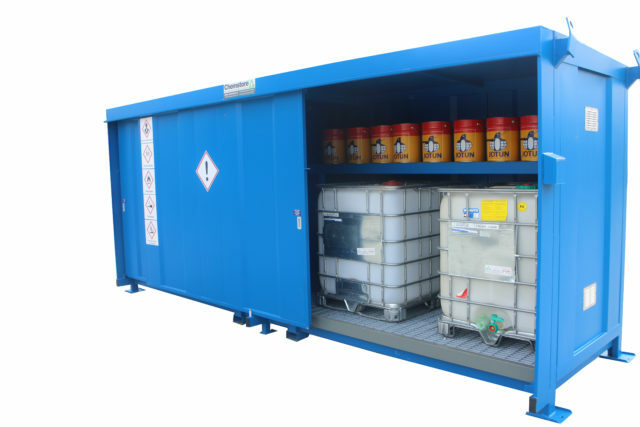 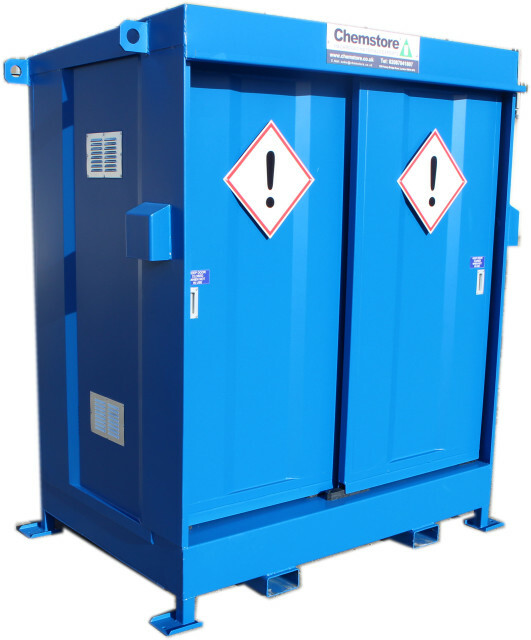 Delivered to site fully assembled, Chemstore’s Hazvault – Hazardous material store provide an immediate solution to the problems encountered in complying with environmental legislation while storing quantities of drums or IBCs or smaller containers. 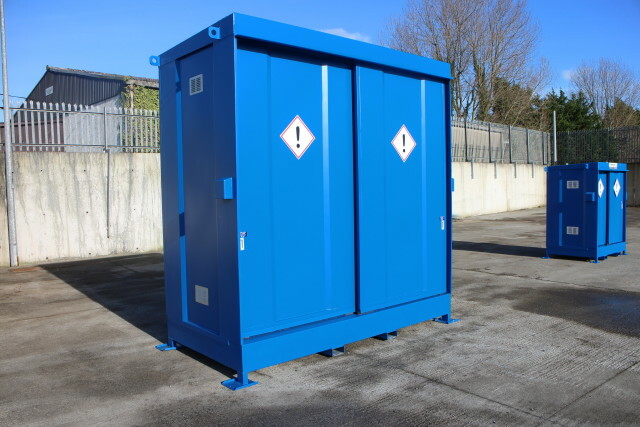 The Hazvault units are available in a range of size and storage options and can be customized to suit your particular site requirements. 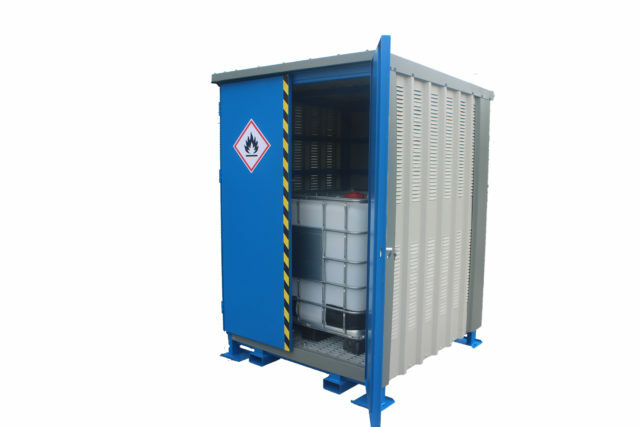 Construction: Robust all welded steel framework. 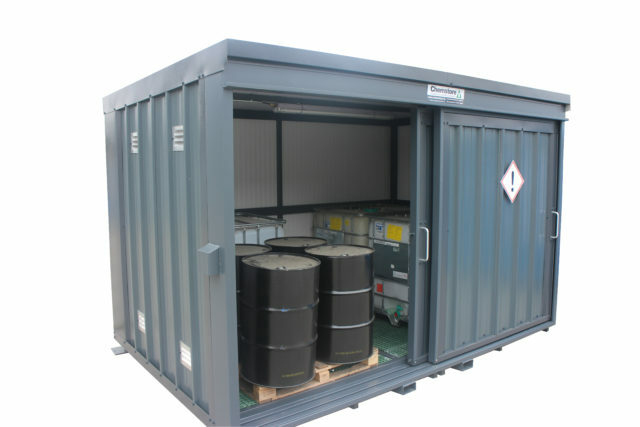 Bund/Sump: Capacity in excess of EPA guidelines. 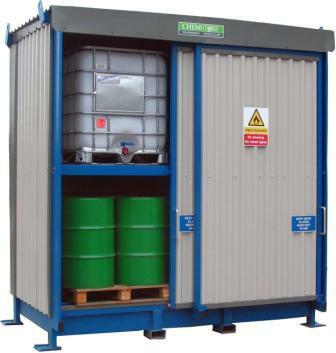 Access: Twin sliding or hinged lockable doors. 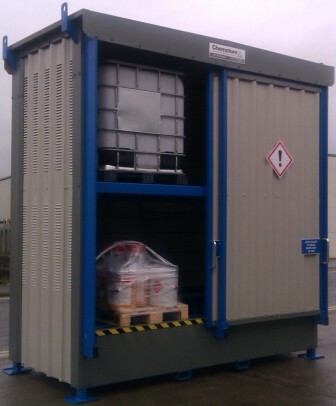 Ventilation: Fully louvred side panels ensure excellent ventilation through the store. 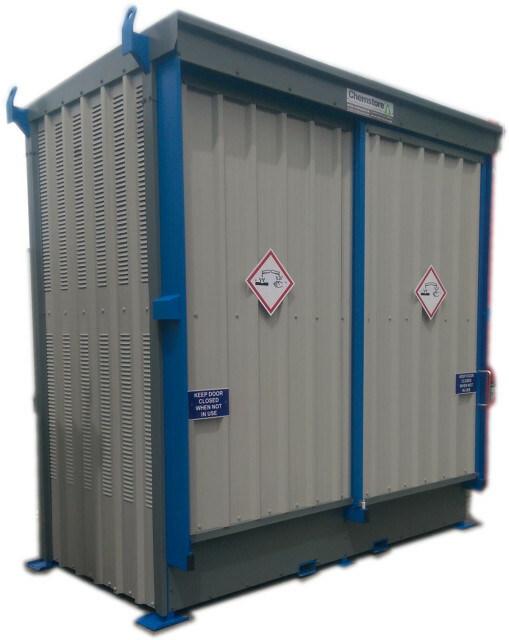 Finish: 2 pack polyurethane paint system, wide range on framework (standard colour, blue ral 5017), maintenance free plastisol (PVC) finish on wallls, doors & roof (colour grey ral 7038). 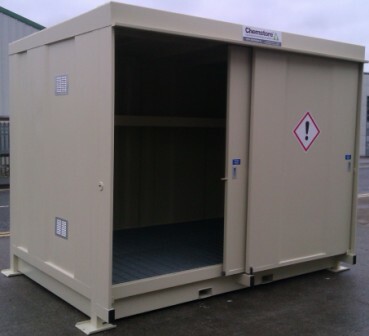 wide range of colour options at no extra cost. 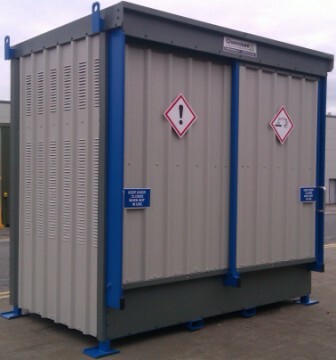 Signage: Safety / warning signs fitted as std.